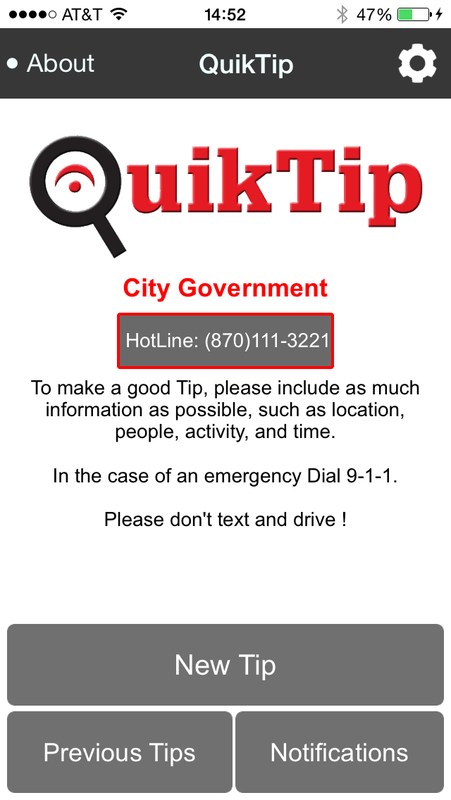 QuikTip is a secure two way communication component that allows the public to provide tips and information to the user agencies. And subsequently allows the agency to communicate back with questions or acknowledgement while the tipster remains anonymous. The App also included an integrated twitter feed as well as an integrated emergency / mass notification capability for the organization to the installed user base that associated with their agency. Quiktip is a modern software solution providing organizations a method for collecting tips and other information from multiple platforms into a centralized processing site. 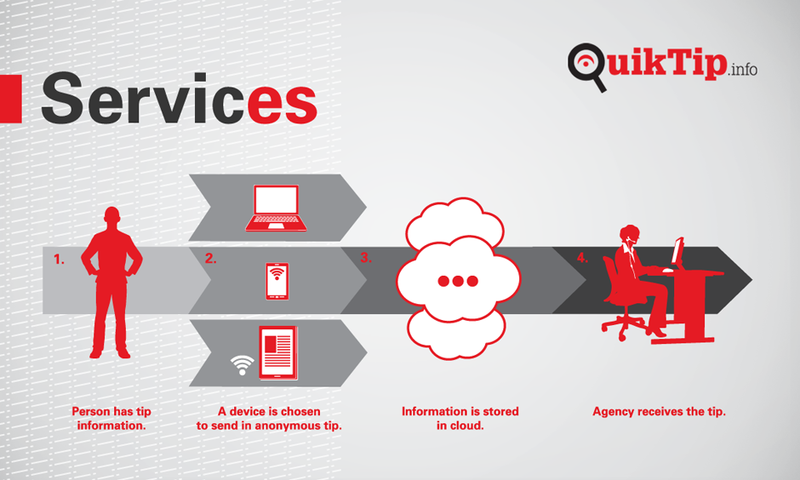 For organizations operating on Relativity, Inc’s RPS-CAD (Computer Aided Dispatch) solution, Quiktip has an dispatch integration module that provides automatic notification and allows one button conversion of a tip into a call for service when appropriate. 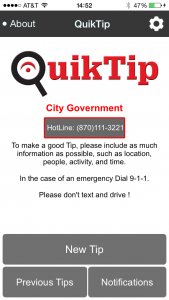 Tips can be submitted anonymously or with contact and location information. It is up to the tipster to choose how they submit.